Head to the City this September for a weekend of activities to commemorate the 350th anniversary of the Great Plague. The three-day festival, run by living history company Tales of Plague, features music, drama, talks, walks and workshops, with a fantastic party finale celebrating London's unshakeable spirit. In September 1665, thousands of Londoners were dying of the plague each week. Now 350 years later, this pestilential festival commemorates one of the capital's most catastrophic events. Organiser Marianne MacRitchie says, "The Great Plague of London was horrific but out of it came great works of literature, heroic acts of bravery and self-sacrifice… and this festival." The festival kicks off with a Dead Cart Procession on 4 September. Look out for a procession of peasants, plague doctors, wenches and rogues walking up from the Tower Hill end of the Minories to St Botolph's Church, Aldgate. Then 'Daniel Defoe' will read extracts from his Journal of the Plague Year and officially open the festival. In addition, you can see a doctor treat his patients at the Wellcome Collection, make a plague doctor's mask at St Botolph's Church and take part in guided Tales of Plague walks around the City. The festival culminates in a party hosted by Samuel and Elizabeth Pepys with Nell Gwyn as the star attraction in an evening of merriment and song at the Hung Drawn and Quartered pub (tickets £6.65). There'll be a complimentary snifter of port and a slice of cheese on arrival; dressing up is optional; booking, essential. 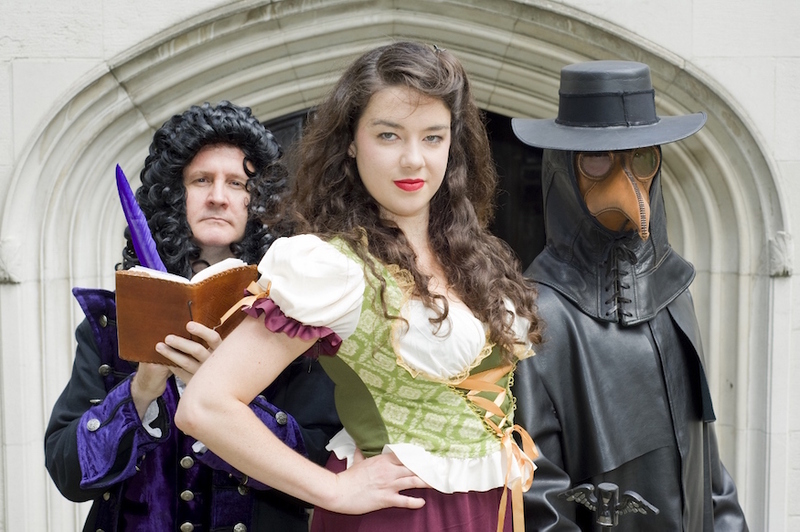 The 350th Anniversary of the Great Plague Festival runs from 4-6 September at various venues. Visit www.talesofplague.co.uk/festival to find out more. An exhibition about the Great Plague of London is currently on display at St Botolph’s church, Aldgate, until 6 September.